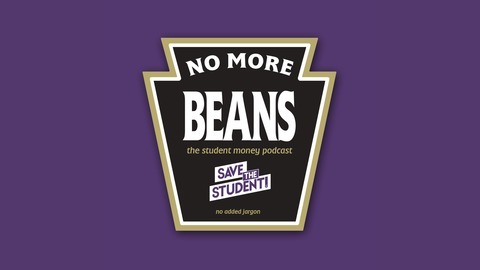 No More Beans is THE student money podcast from Save the Student. Jess and Tom, as well as a few other members of the STS team will take you through plenty of funny stories, tips, tricks & more. It's a real insight into what it's really like to be a student at university in the UK. Whether you’re willing to admit it or not, everyone’s nervous about starting uni. To help you make the most of it, we decided to get in the recording studio (spoiler: it’s just our office) and share our top tips for freshers’ week. We start by discussing our own freshers’ week experiences (translation: here’s what went wrong for us). We say it a few times during the podcast, but it’s worth repeating once more - freshers’ week doesn’t have to be the insane seven-day party that everyone makes it out to be! Nonetheless, it’s worth taking some steps to help make your freshers’ week into the amazing experience that you deserve. We run through our top 10 tips for surviving freshers’ week and then take a listen to what you - yes, YOU - said you wish you’d known before starting uni. From getting romantically involved with flatmates to the price of dairy products, you really covered all the bases! Probably the scariest thing about starting uni is making friends, and no freshers’ podcast would be complete without some hints and tips on how to find some mates. If you’ve listened before you’ll know what Jess and Tom are like, and you’ll know that if they were able to make friends at uni, anyone can! If you’re moving away for university, then you’ll have to get to grips with your new flatmates too. Worry not, as Jess and Tom share their tips on surviving shared living. Things get a bit heated as they delve into the housemate habits that annoy them the most, but it spawns some great advice on how to behave if you want a harmonious household. Finally, our resident Student Money Expert, Jake, is back by popular(ish) demand to share some of his pearls of wisdom on budgeting for uni life. He very much seems to have learned from his mistakes, as his story of an extravagant freshers’ purchase can testify. Access the show notes on www.savethestudent.org/podcast Don’t forget, you can share your own stories and money problems by sending us a voice message on WhatsApp (just head to savethestudent.org/whatsapp to join the group), tweeting us at @savethestudent or emailing us at podcast@savethestudent.org. 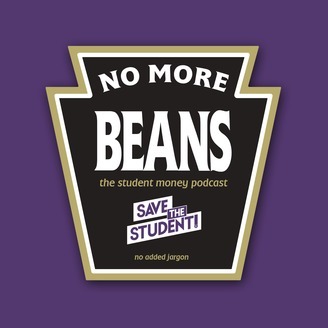 If you have any burning questions about how to save money at university, or have any feedback on the show, we’d love to hear from you! Hope you enjoy the show!